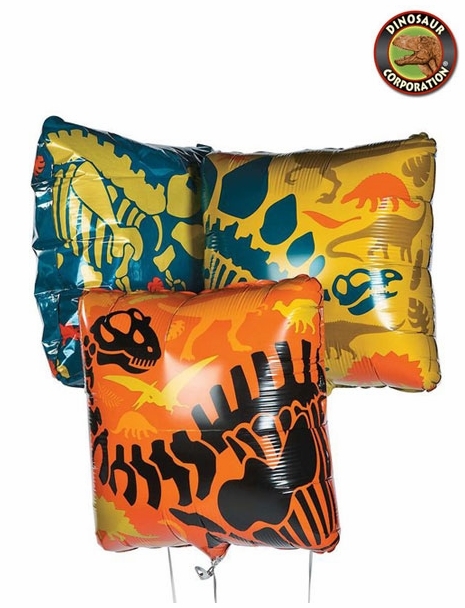 Dino Dig party decoration mylar balloons are perfect match to your prehistoric birthday party. It's Dino Dig birthday time! These Mylar balloons featuring skeletons of T-rex, Brachiosaurus and Stegosaurus are dino-mite decorations that little buddy paleontologists love.